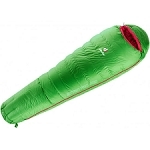 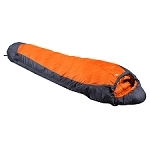 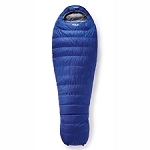 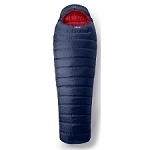 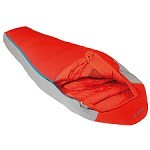 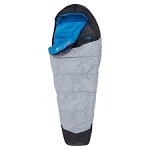 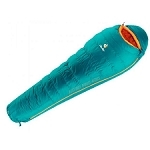 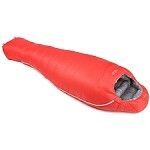 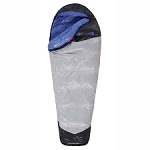 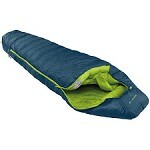 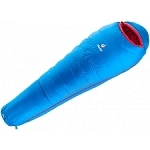 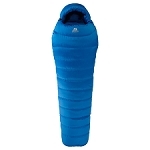 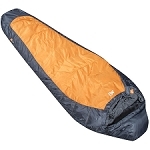 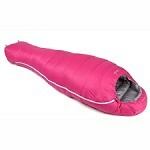 Vaude brand down sleeping bag for 3 seasons, suitable for use in the mountains and camping, except in intense cold weather. 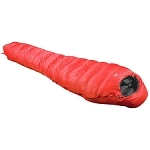 The Cheyenne 500 is characterized mainly by its excellent weight to insulation ratio, being a really light bag without losing its high thermal performance. 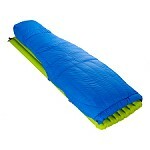 Reduced volume once folded into it's compression bag to transport easily and occupy minimal space in the backpack. 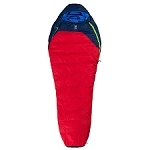 It features an exterior Ripstop 50 300T tough and durable exterior fabric and an insulation of 500 grams 80% composed of class 1 white duck down and 20% 550 cuins fill power down. 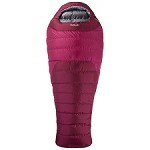 Mummy design to reduce the interior volume, neck and hood with adjustable pull-string, top flap for zipper to avoid annoying rubbing and inner pocket with zipper closure where you can keep your mobile. 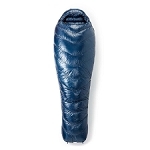 It has the Bluesign ® independent certificate that ensures that the entire production chain only contains components that pass through processes that are harmless for people and the environment. 50D 300T Polyester Ripstop exterior fabric. 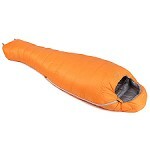 80% Class 1 White duck down fill and 20% 550 cuins down. 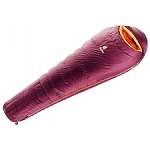 Total fill amount of 500 g.
Comfort temperature range 2 ° C/limit−3 ° C/Extreme−20 ° C.
Approximate weight of 1200 g.